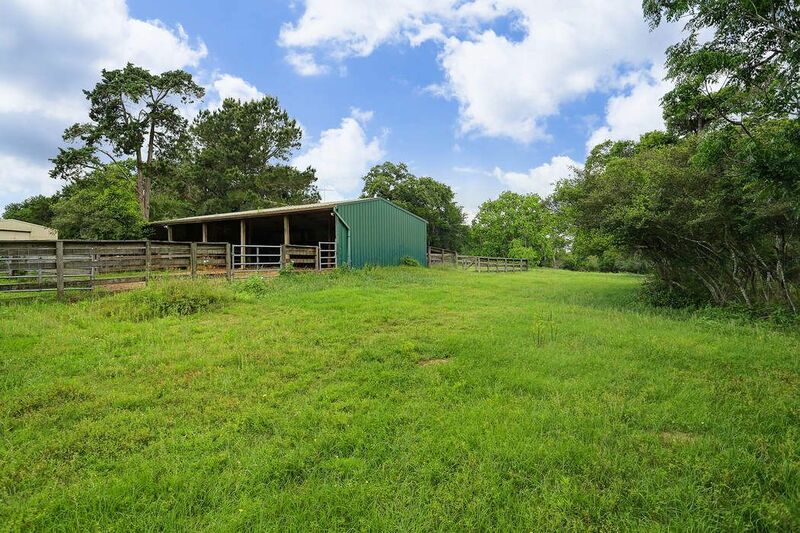 11182 Fm 1094, Sealy, TX 77474 | Martha Turner Sotheby's International Realty, Inc. 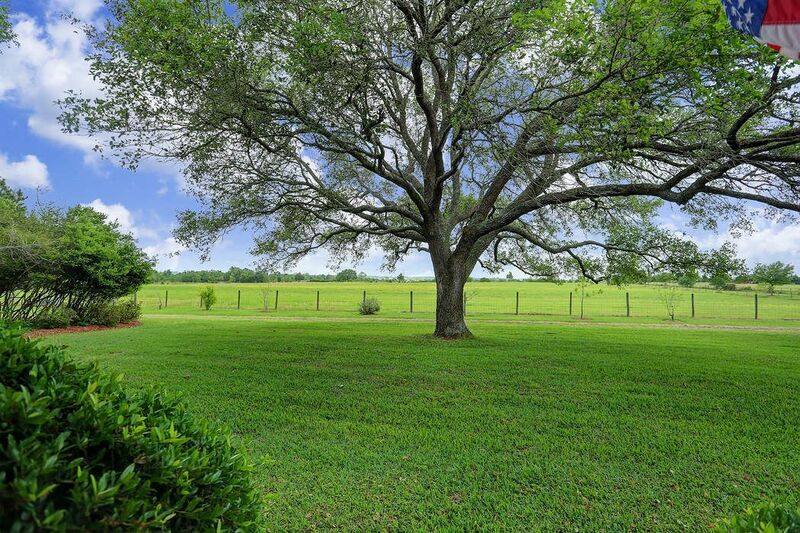 Situated away from the highway with a 12 acre improved pasture between the house and road. This is a 2-story brick home with 3 bedrooms, 3 bathrooms and a 2 car garage with breezeway attached to home sits about 1000 from FM 1094. Hard to find prime Cat Springs property at its finest. 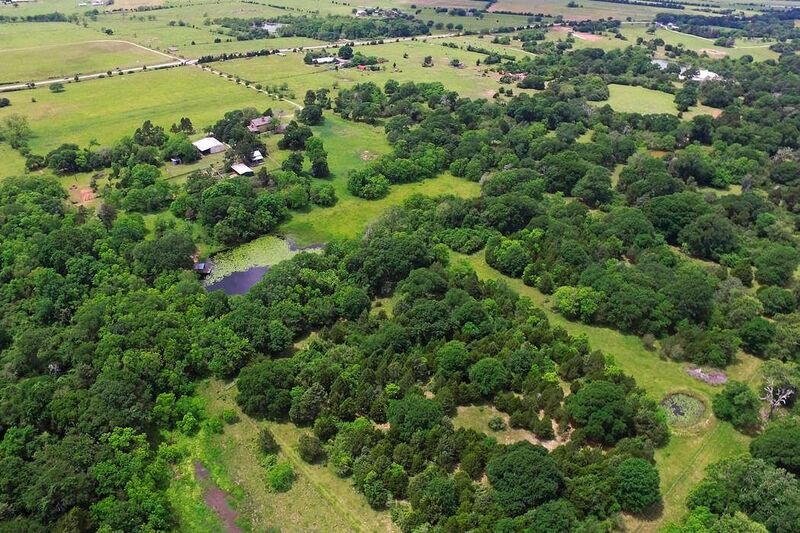 This property is very improved and boasts a 2 story home, guest house, 2 story metal machine shop, 30+ acres of pastures, a half acre stocked pond and so much more. Only 45 min from W Houston. 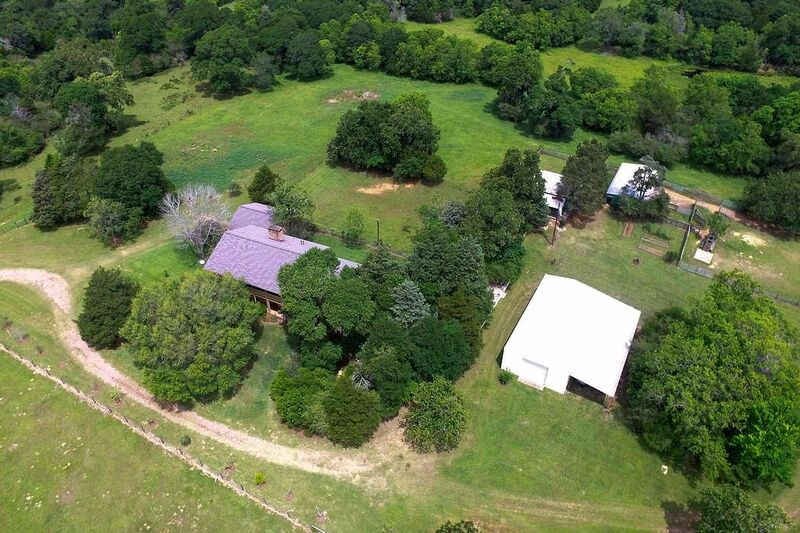 A closer aerial view shows the gravel road onto the property ending in the front with improved paddocks around the home. Lovely shade trees separate home on the left from a large machine shop on right. Beyond, more trees buffer the guest and barn. 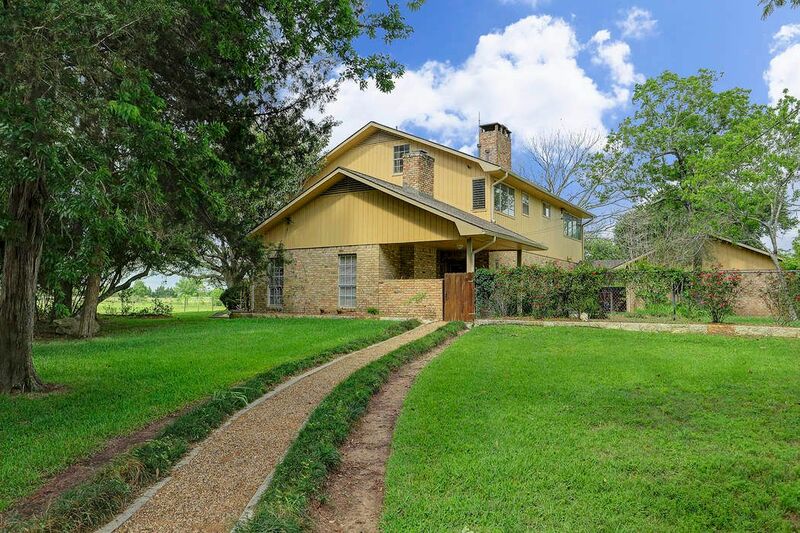 Enter onto this amazing property through private, gated well-maintained road off FM 1094. 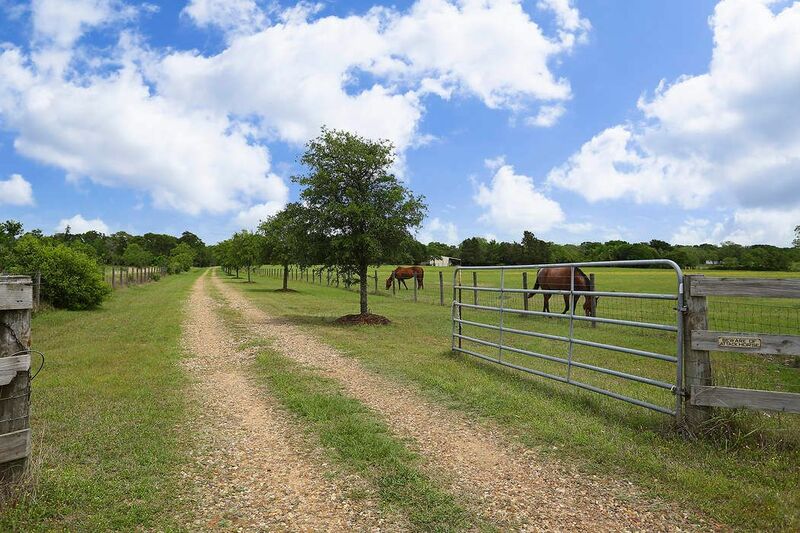 Irrigated, oak trees line the lone driveway passing the 12 acre pasture which has been used as a hay field. 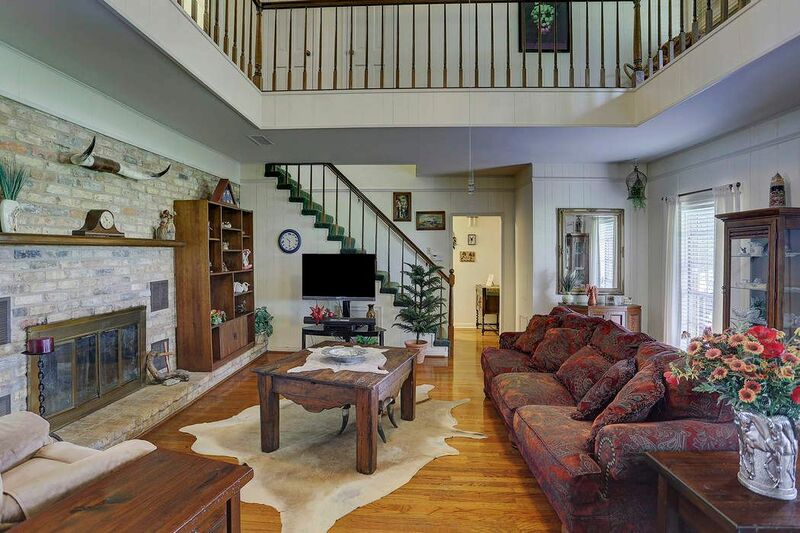 As you enter the 2 story family room the room welcomes you with its fireplace, built-in bookshelves and wood floors. This room has an interesting catwalk above with railing around all 4 sides, creating a spacious feel. 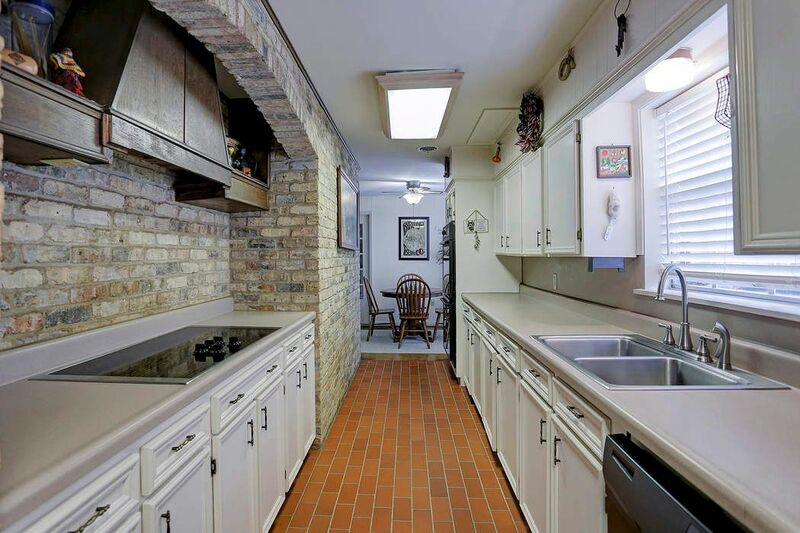 The galley kitchen has abundant cabinetry, a walk-in pantry, a feature brick wall and wonderful view of another paddock through the window over the sink. 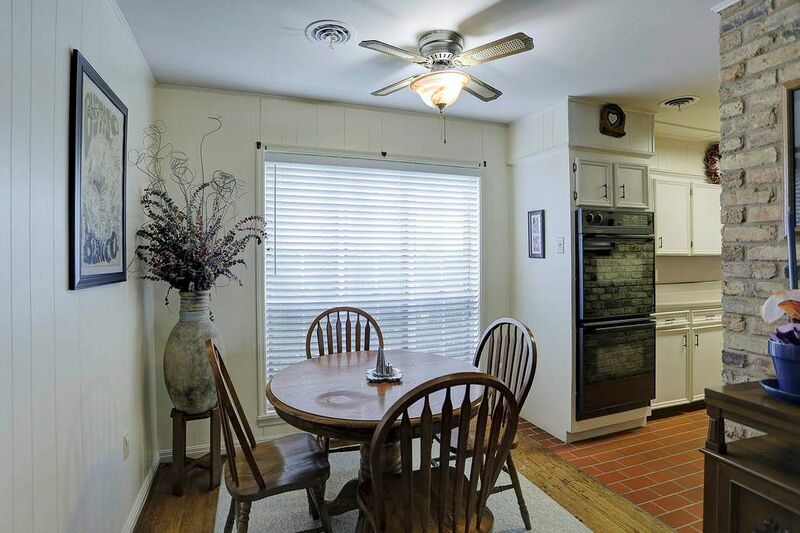 Wood flooring continues into the breakfast room where you can enjoy a morning cup of coffee while viewing this amazing property. 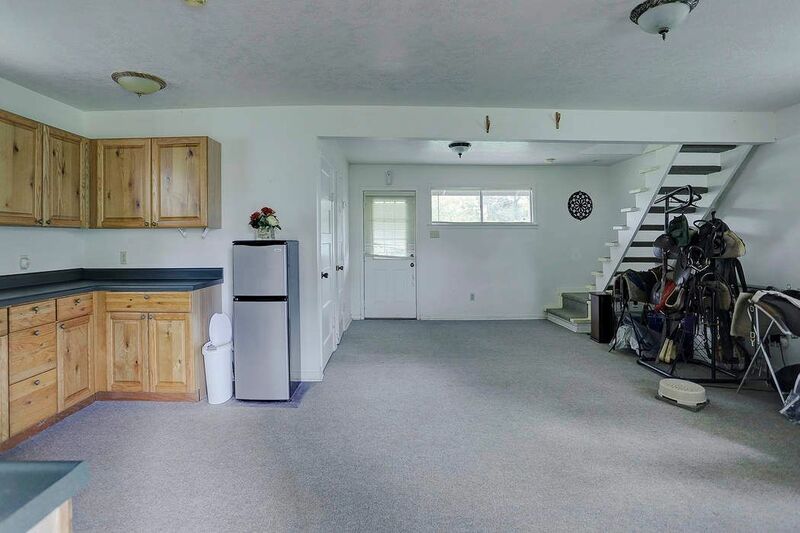 To the left is a separate canning/laundry, bath with shower and access to the garage. 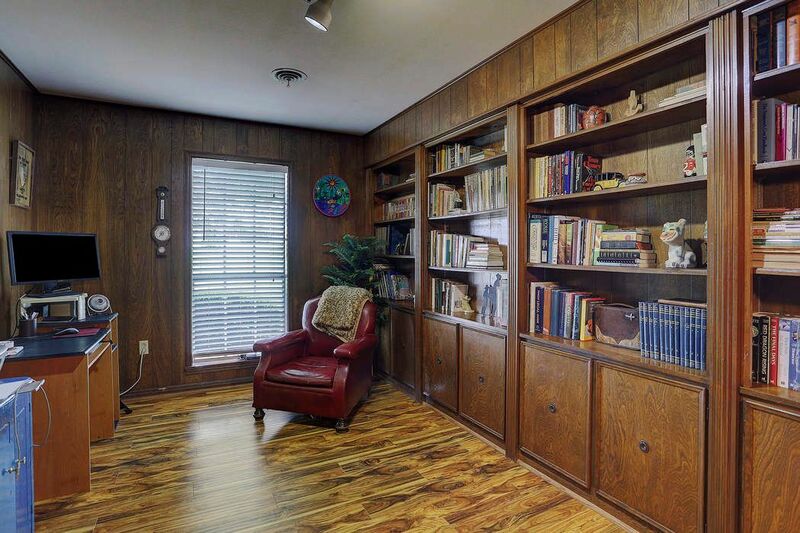 Spacious study is next to family room with view of front pasture. Abundant built-in cabinetry on two walls with a built-in desk. Study can be closed off from living room for privacy. 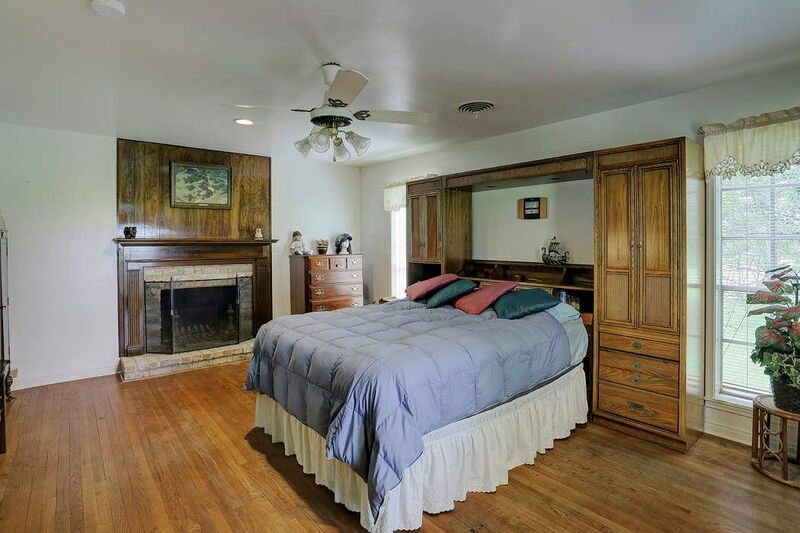 Note the recent wood laminate flooring and rich paneling. After a day of horseback riding or just enjoying the outdoors, retreat to your large master bedroom with fireplace and continuation of wood flooring creating a warm environment. 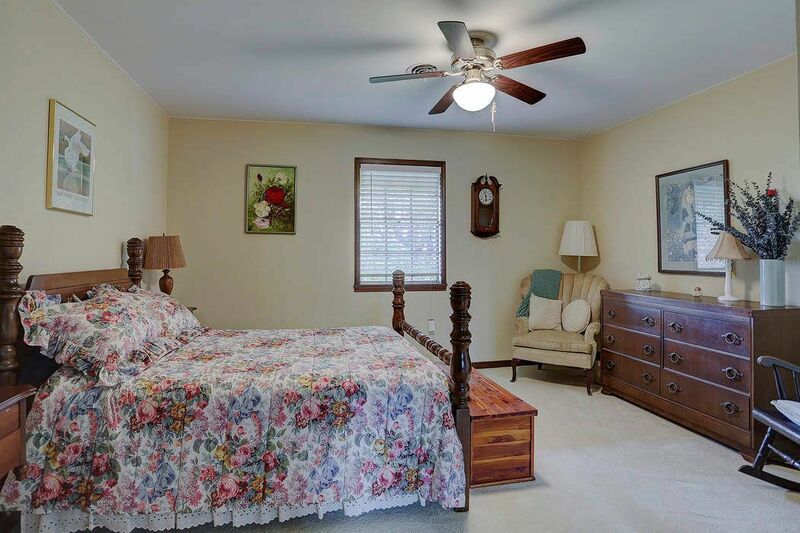 Master suite is conveniently located on first level of the home. 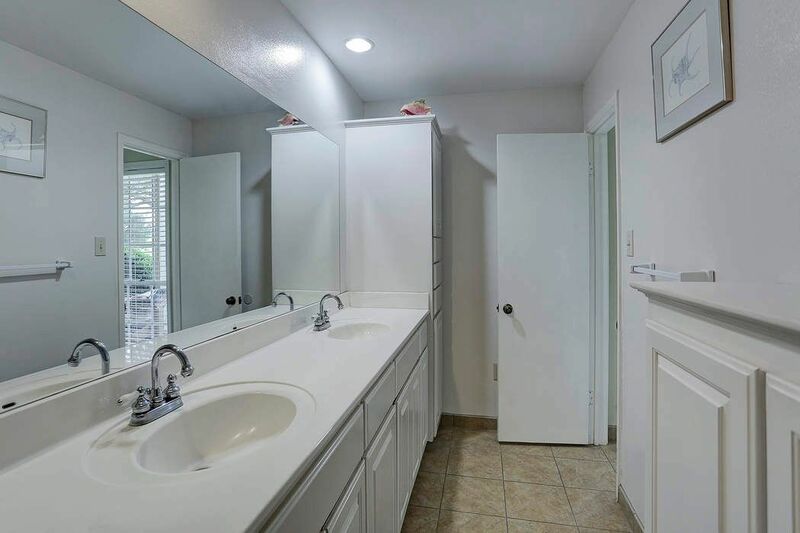 Master bath with very good storage and counter space. Note double sinks and recent tile flooring. Through the door on the right is the tub/shower area. 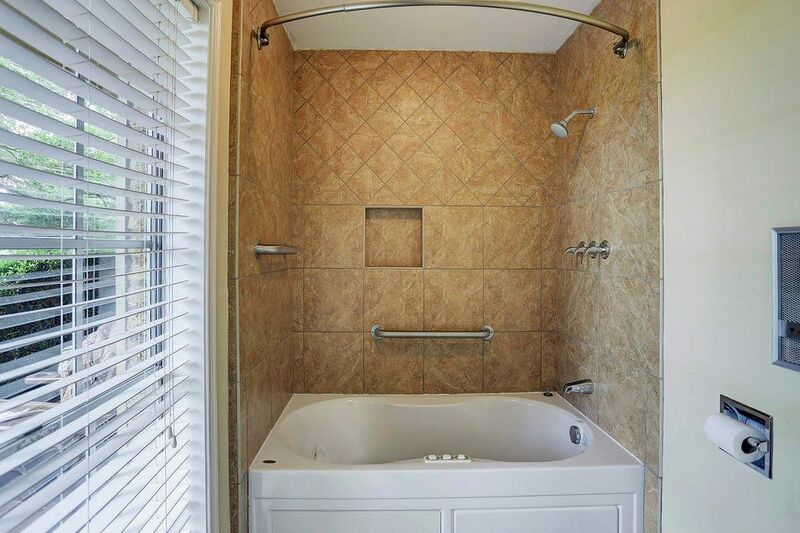 Recently remodeled master bath with deep soaking jetted tub to enjoy a bit of quiet time after riding or just being outdoors enjoying your land. 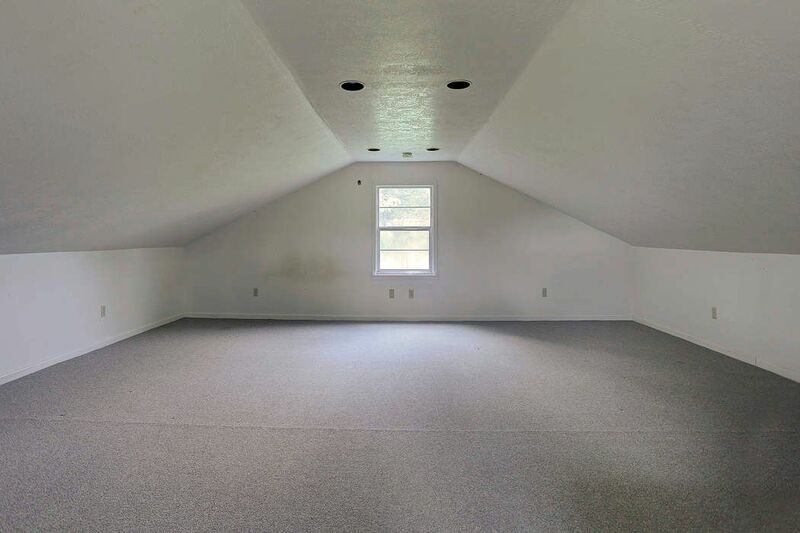 This is the first of two spacious upstairs bedrooms in neutral decor and carpet. 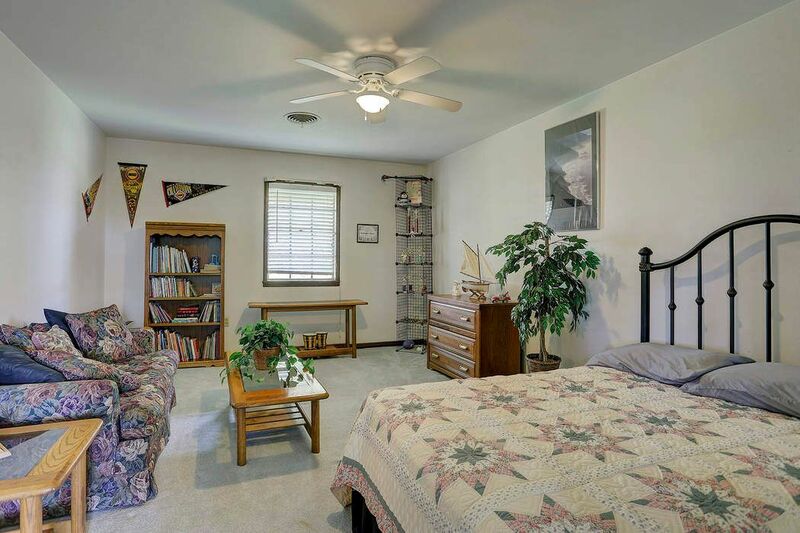 Both bedrooms have good storage along with a walk-in cedar closet located outside the bedroom. 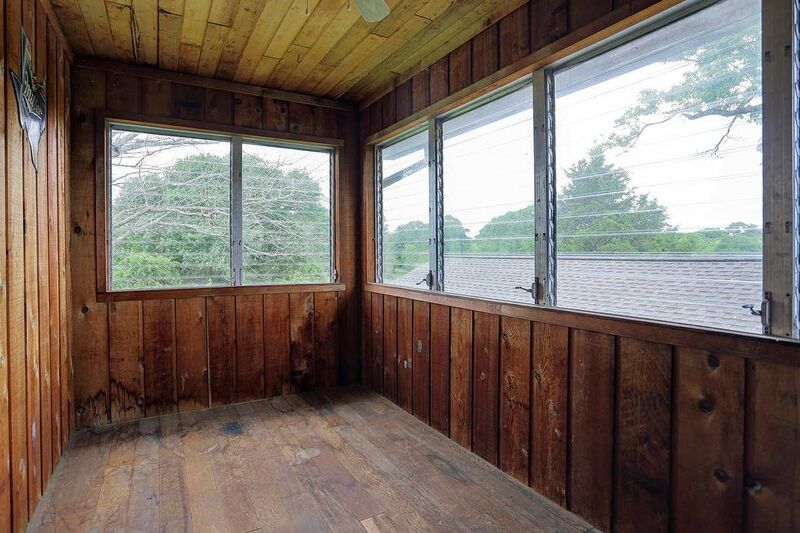 Each bedroom has a wonderful enclosed porch viewing the back property. Such a surprising treat for the upstairs bedrooms. Each bedroom has its own private sun room to enjoy the amazing views of the ranch. 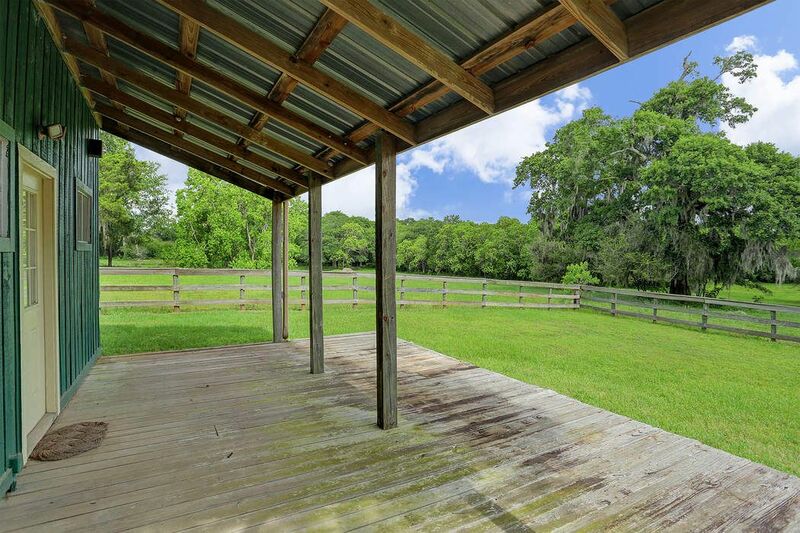 From the upstairs catwalk outside of the two bedrooms is access to this amazing covered balcony to enjoy viewing your 12 acre fenced pasture. Envision sitting here with a favorite beverage at the end of the day. Third bedroom located upstairs with neutral decor including carpet. Note the size of these secondary bedrooms. This home is in move-in condition. 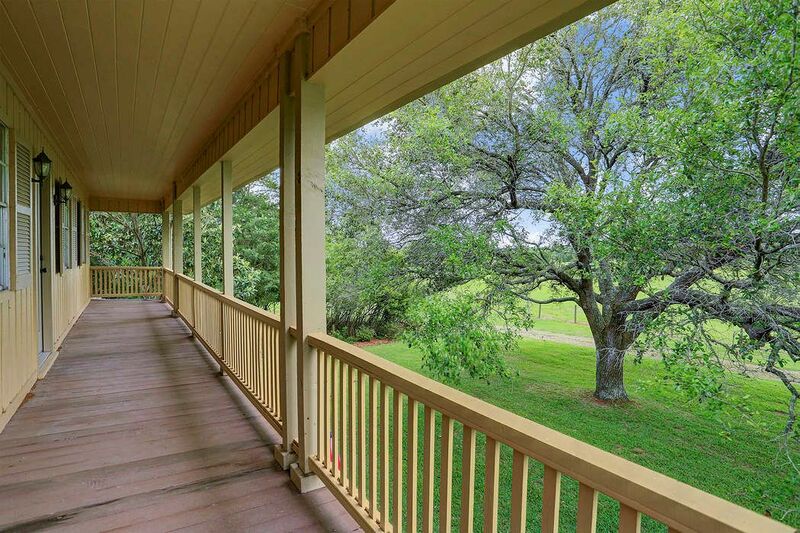 Stunning view of your property from the front porch. 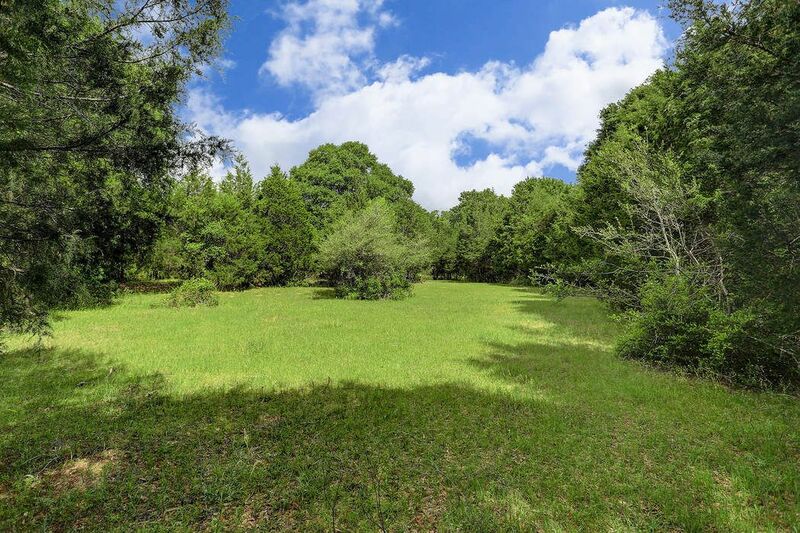 This property has many oaks, hardwoods, pecan, elm, fruit, olive and cedar trees to enjoy. On the east side of the home is the pathway leading to the machine shop, guest house, barn and paddocks. The path also leads to a huge stone fire pit. 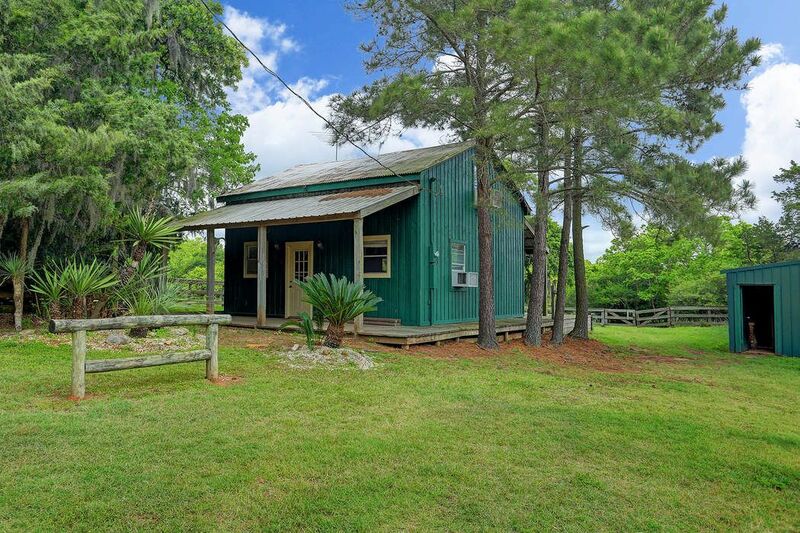 Just the quintessential fully-equipped guest house with covered front and back porch. Who wouldn t enjoy sitting on this covered porch at the end of the day or in the morning before a wonderful day of riding. Inside the guest house is a full kitchen, living area, full bath and upstairs sleeping loft. Currently, owners are using it for additional tack storage. Upstairs sleeping loft in guest house. What fun! 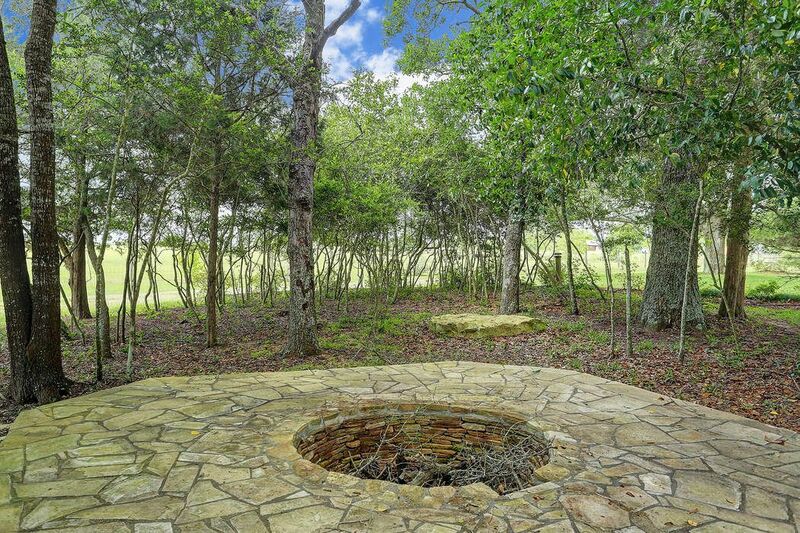 A very large fire pit with more large sitting stones surrounding the pit perfect for those evening bonfires. Vegetable garden to the left, storage sheds beyond then the steel framed, insulated metal clad 30 x60 2 story machine shop with slab foundation. 20 x60 overhang for trailers & eqipment. 2 12 x12 garage doors. Inside this facility is piping for pneumatic tools (no compressor); 220v welding power receptacles; lighting is halogen, tube & LED. 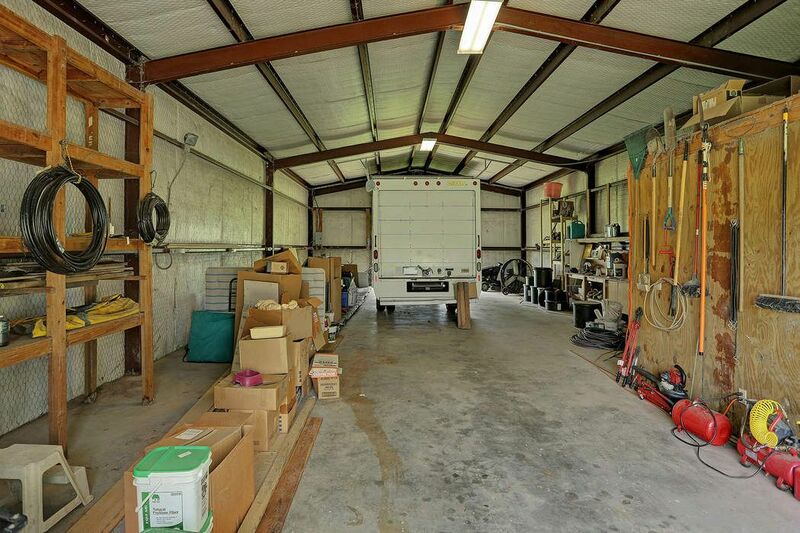 Tool room w/lighted workbench & pedestrian side door for access from the house. Inside storage capacity is enormous. Metal clad pole barn is 25 x50 with concrete floor in feed room. The barn has water, lights and working pens, gutter and downspout. Three paddocks are available to the barn. Another view of the barn and surrounding paddocks. 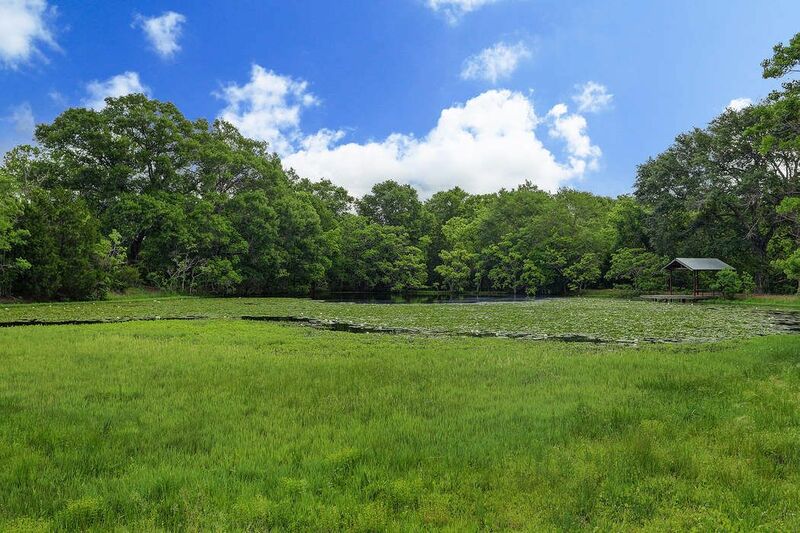 This beautiful property provides wonderful riding trails. Goat wire has been installed around the entire perimeter keeping coyotes and hogs off the property. About 6560 of goat wire. Larger of the two ponds is about 1/2 ac and about 15 deep and has a covered pier with built-in bench to enjoy this stocked pond. The smaller pond is farther back on the property and is 45 x70 and is 12 deep. 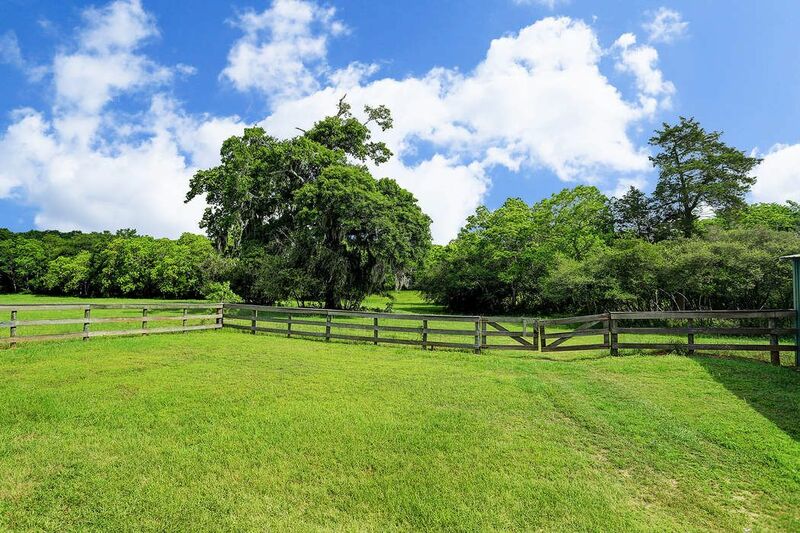 The entire property is fenced and crossed fenced with between 8500 & 8800 of fencing. All fencing and gates are in good condition. 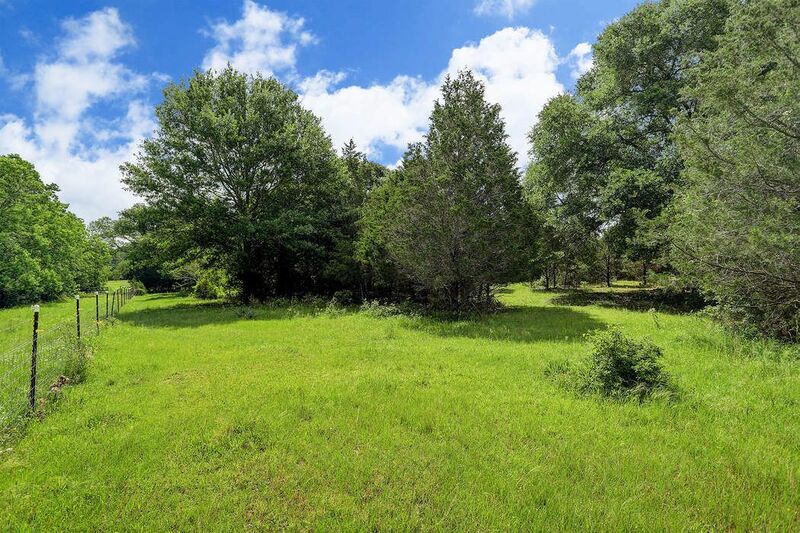 Enjoy that Little Bit of Heaven here in Cat Springs with a very commutable distance from Houston of only about 45 minutes from The Energy Corridor, 10 miles from Sealy and 10 miles from Bellville. 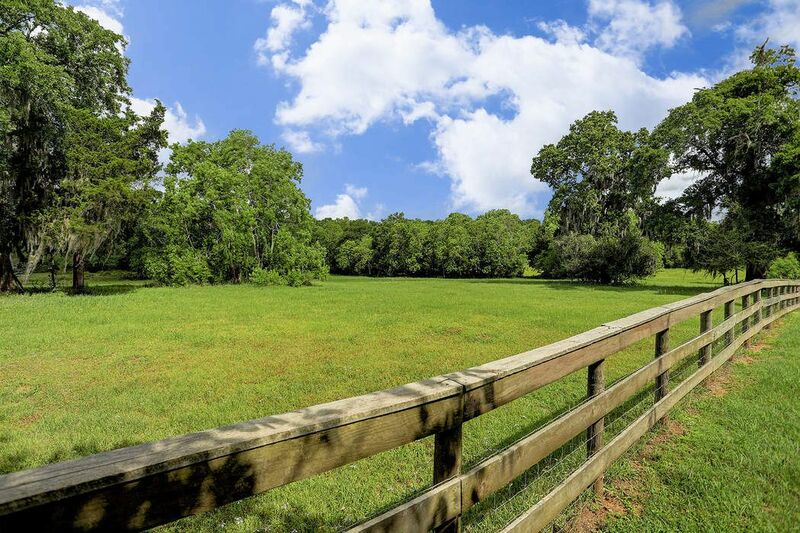 The improvements on this property are extensive with incredible fencing and about 30 gates. Note all of the clearings are well maintained. Enjoy the serenity this lifestyle has to offer. Enjoy riding, having your own cattle, and enjoying deer, foxes and beautiful wildlife (without the hogs or coyotes). $725,000 3 Bedrooms3 Full Baths3,105 sq. ft. 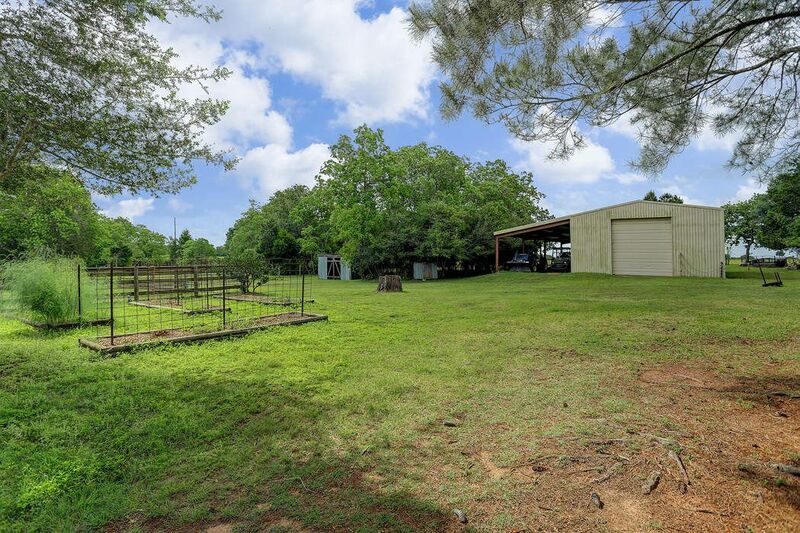 Highly desirable Cat Spring location with rolling terrain on 30+ acres of highly improved land. 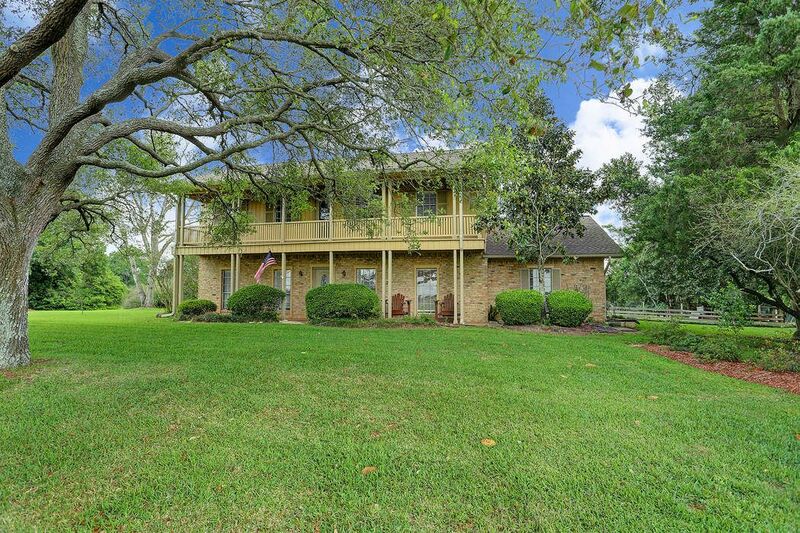 2-story 3/2/2 brick home with separate guest house with kitchen/bath & sleep loft. A 2 story 30' x 60' insulated machine shop on property. 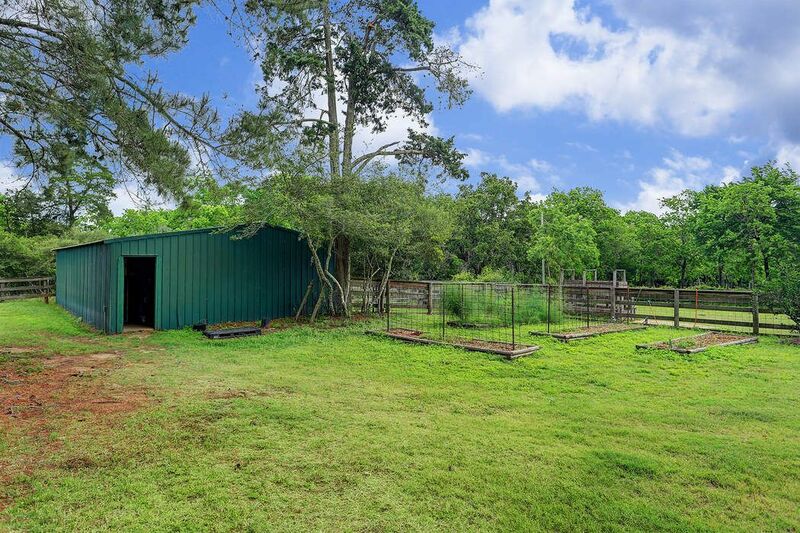 Barn can house 4 horse stalls. 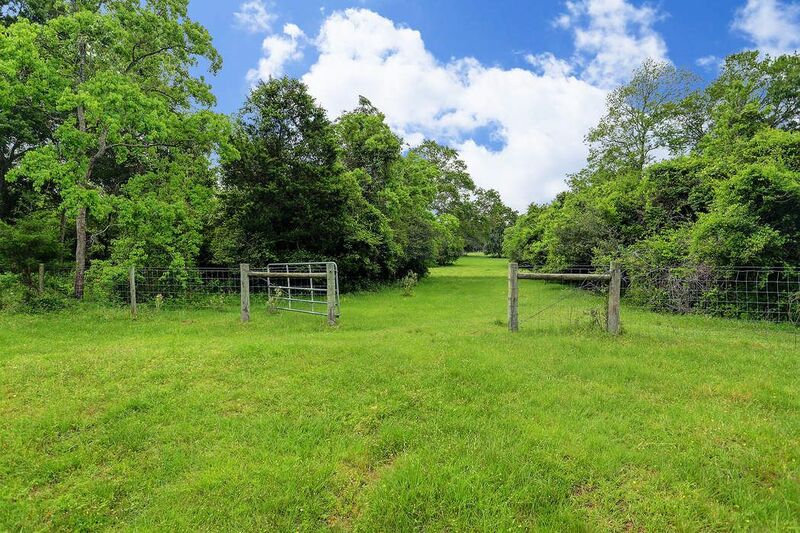 Enjoy country lifestyle with plenty of riding trails & paddocks with 30 gates and 2 ponds. Just put your decorative touches on the home to make it your own. Good public schools. Only 45 minutes from Energy Corridor on I-10.